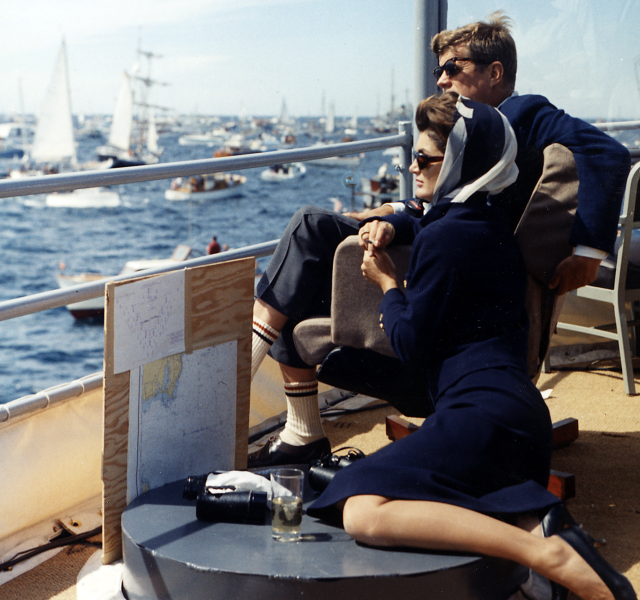 Jackie and JFK at the America’s Cup, Newport 1962. This entry was posted in Icons, Style and tagged America's Cup, Jackie Kennedy, JFK, navy blazer, Newport, Sailing. Bookmark the permalink.